WHAT TO EXPECT: FIRST DAY OF UNIVERSITY | RAWR BOWS. This post might be sort of late for those of you who don't study in England (where I believe most universities haven't started yet) but you know what they say, better late than never. I remember the night before my first day of university, I was a mess. I had no idea what to expect; what are the professors going to be like? am I going to make any friends? am I going to like the lectures? (I have the answer to that last one: NO) and most importantly, what are people going to wear? Going from high school to university is such a big change and it can make many of us feel overwhelmed. 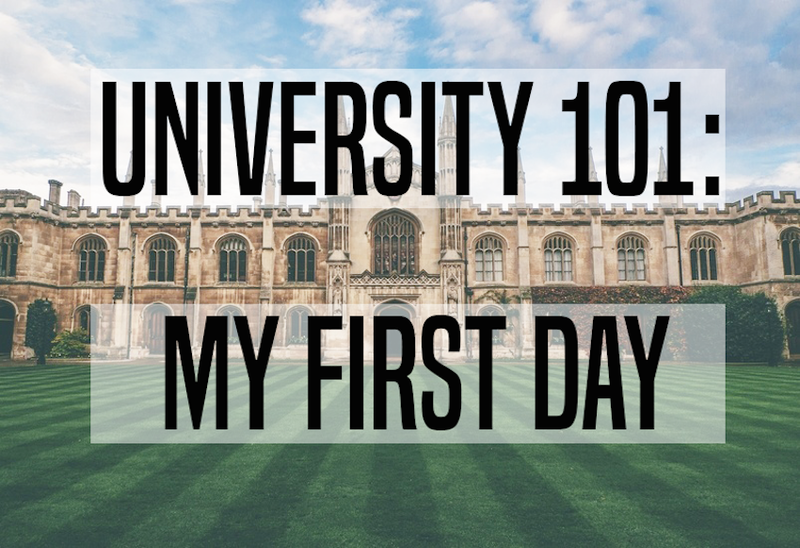 If your first day of uni is approaching I'm going to try and make you a bit less nervous by sharing my experience with you. Here goes the story of my fabulous first day of university. Before my first day I had met some people from my halls but none of them were in my course so I literally had no idea what kind of people to expect. I was hoping for the worst. I go to a really geeky university, where many people don't give a crap about how they look (or so it seems) so now I know I shouldn't have spent so much time choosing my outfit. Nonetheless, do spend as much time as you want deciding on what to wear, it's always good to make a good first impression. On my first day I didn't have any lectures, we met at my department's common room and were given our schedule together with shitloads of stuff and a manual that was meant to explain the aims, grading system and other apparently important things about my course. I'm going to be honest and say that I haven't read that manual yet and I'm going into my third year. Awkward. Here goes tip number one: read all the crap they give you, some of it might actually be helpful. They had us in that common room doing virtually nothing for way too long but it was a good time to get to know some people and that's actually where I met who today is one of my best friends. So, tip number two: as eager as you may be to tweet about that horrendous jumper your classmate is wearing, put down your phone and talk to people. You're going to be spending many hours with them so you might as well get to know someone, lectures are boring if you don't have anyone to gossip with. After a while, they remembered we where there and took us to a lecture theatre to give us a safety talk about how to behave in labs (my degree is chemistry). They told us like a hundred times that it's ABSOLUTELY FORBIDDEN to use our phones in labs since it's really dangerous. I'm sorry but I can't go 5 hours without checking Instagram, I can deal with a bit of acid on my screen. I've had many boring lectures but this talk was on a another level, so tip number three: if you're doing a science degree involving labs hours, bring some entertainment with you on your first day. As far as I can remember ( I feel really old saying this) that's all I did on my first day, so it was really short and not too exciting but that's the ugly truth. How was your first day/how are you expecting it to be?